Looking to put a more Southern spin on your Christmas eats? Try making one or multiple dishes in the true workhorse of the Southern kitchen — the cast iron skillet. Cast iron offers so many benefits. 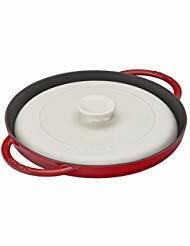 It has great heat retention, the ability to form a beautiful crust on foods, and if seasoned properly, an almost griddle-like nonstick surface. 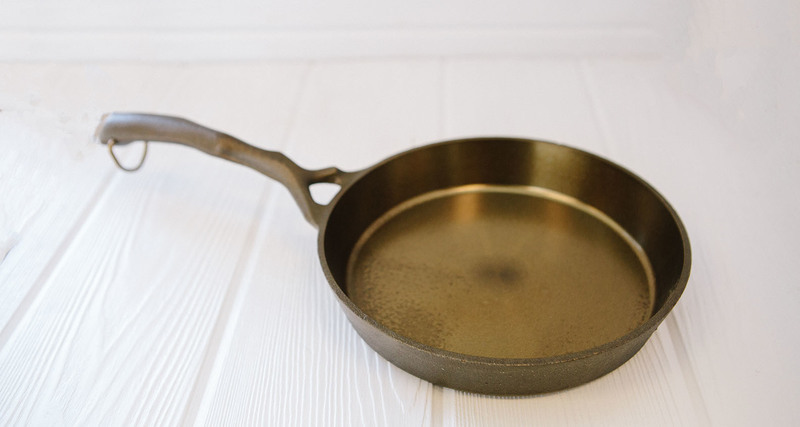 Moreover, a cast iron skillet can double as a rustic serving dish, wowing your guests when they see such a heavy-duty service piece hit the table. Regardless which part of the meal you’re preparing, these five recipes can help take your Christmas mealtime game to the next level. Equal in importance to Christmas dinner is breakfast on Christmas morning. Trying to feed a household filled with guests or kids who have just turned the living room into a mountain of torn wrapping paper may seem like a daunting task. However, this breakfast casserole can be assembled ahead of time and contains sausage, eggs, grits and cheese all in the same dish — essentially a one-pan wonder. A cast iron skillet is perfect for this dish because you can cook the sausage, scramble the eggs and bake the casserole in the same pan. When it comes time to bake, just throw it in the oven until completely hot in the center and the cheese is melted and gooey. Breakast is served. Frequently enjoyed as much, if not more than, the seated dinner is that time when everyone stands around the kitchen or living room, noshing on snacks and hors d’oeuvres. Make the best bite once and your family may call you into action every year to repeat your culinary victory. Corn johnnycakes (also called hoe cakes or griddle cakes, depending on your preferred nomenclature) are easy, satisfying and a match made in heaven for a cast iron skillet. 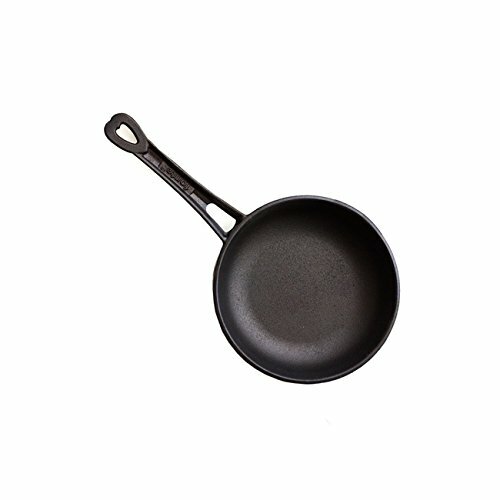 When properly seasoned, a cast iron skillet has wonderful non-stick properties that only increase when frying things like johnnycakes inside. To make the cakes appetizer-appropriate, use a tablespoon to dose the batter into the hot skillet. And once you have this recipe down pat, you can let your imagination run wild when it comes to toppings. They’re amazing with barbecued pulled pork, smoked trout or caviar with sour cream, and even just simple honey butter. 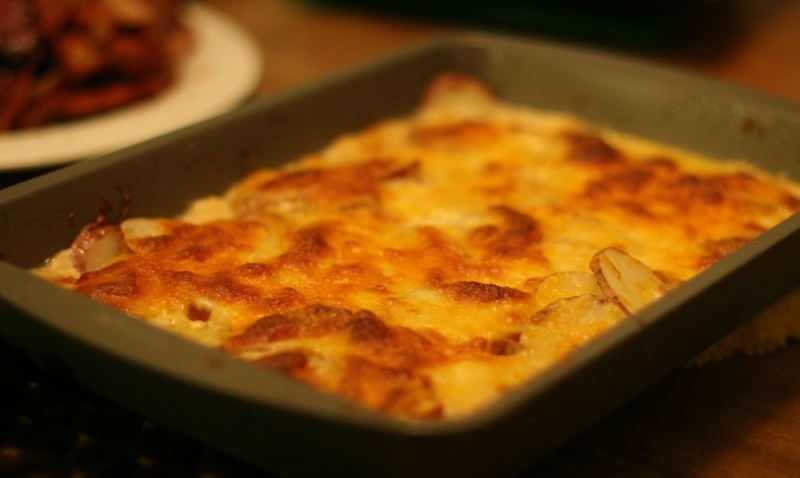 Side dishes are such an integral part of a holiday meal, and what can be more of a comforting crowd-pleaser than scalloped potatoes? Though traditionally prepared in a baking dish, cast iron can be a fantastic substitution. As the potatoes cook, the cast iron will aid in the development of a delicious, golden crust around the perimeter. Chef Quatrano’s recipe calls for chicken stock, but feel free to substitute half of the stock with heavy cream or top the potatoes with grated cheese for some extra richness. After all, you can start your diet next year. A large cut of “roast beast,” such as prime rib or spiral ham, may come to mind when thinking of a large holiday meal; however, smaller cuts like lamb chops can also be very special and cook in a fraction of the time. Our recipe originally called for these to cook on the grill, but the crust you can achieve by cooking the lamb chops in a cast iron grill pan is unparalleled. If you happen to be cooking for a smaller group of guests, lamb chops are perfect because each person can get their own finite portion, and you may not have to contend with six pounds of leftover roast beef after your guests have finished. Whether served at the end of a rich meal or held for later as midnight provisions for Saint Nick, cookies are the undisputed kings of Christmas sweets. For those of us who prefer our cookies more soft and chewy — or simply crave one of those giant cookie-cakes from the mall — try baking one large cookie instead of 24 smaller ones. To get the best results, use a cast iron skillet for that perfect balance of crusty on the outside and chewy/slightly molten in the center. 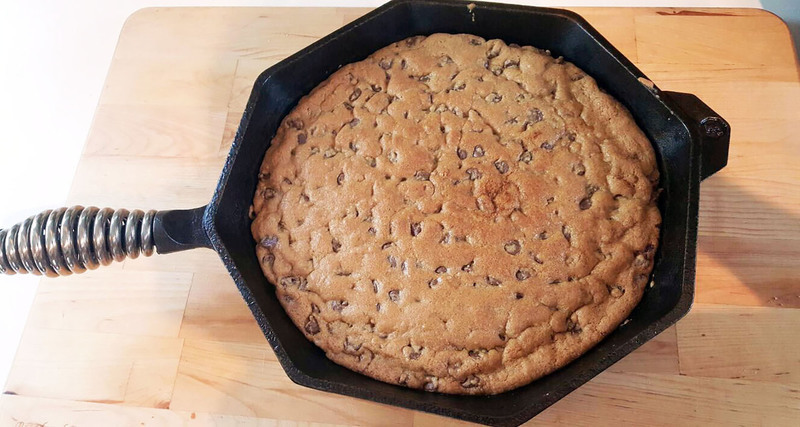 We love the 10-inch Finex cast iron skillet for this recipe because the octagonal shape of the pan allows you to cut the cookie into eight equal wedges — perfect for holiday indulgence. 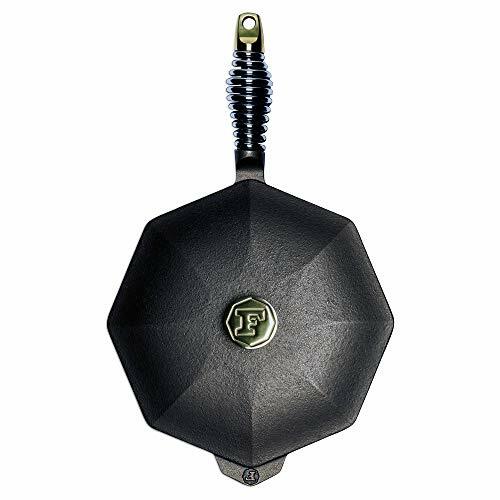 Been neglecting your cast iron skillet?